We offer training packages specific to the needs and levels of each horse and rider. 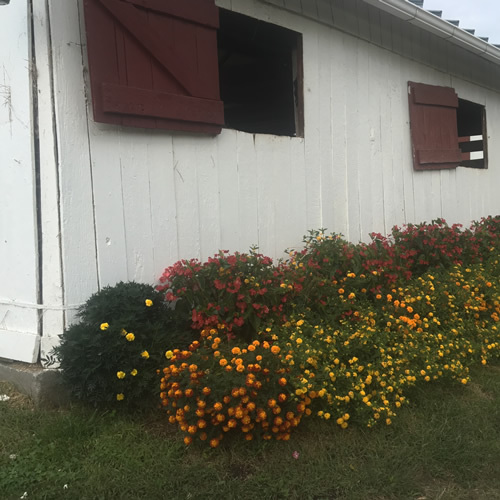 We have a full -service training barn which provides a professional program in a friendly family atmosphere. Susan Harris is a Certified Instructor through 4th Level through the United States Dressage Federation. She is also a Bronze & Silver Medalist. Five days per week; includes board, turnout, grooming, tacking and untacking plus hacking 1 day a week. Cost is $1,700 per month. 3-4 days per week; services depend on specific needs of the horse and rider. Cost is $1,500 per month. $75.00 per hour. $65.00 per 45 minutes. $55.00 per 30 minutes. Cost is $85.00 for one day shows or $75.00 per day for multiple days. Susan will travel and teach clinics (8 hours per day maximum). Fee is $800 per day plus expenses. Weekend and short-term training available. - Train with Susan Harris. - Use your own trainer. Overnight stays are welcome, we can accommodate you and your horse! Spend the night in our wonderful B & B, The Inn at Spring Run Farm - www.theinnatspringrunfarm.com.